VOTE: Mohamed Salah strikes better than his Puskas-winning goal? Which Salah goal was best? Mohamed Salah scooped the FIFA Puskas award on Monday night – but was his winning goal even his best effort from last season? The Egypt international's solo effort in the Merseyside derby saw off acrobatic strikes from Gareth Bale and Cristiano Ronaldo, among others, to secure the award for the most aesthetically-pleasing goal in world football over the previous year. 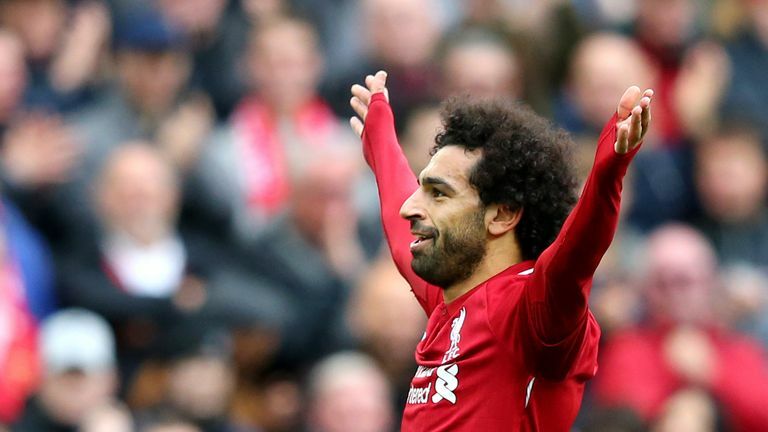 But the decision to hand Salah the honour has sparked debate, with many, including his Liverpool team-mate James Milner, questioning whether the strike against Everton was the best of his record 44-goal haul last term. We've picked out six other strikes to go with Salah's winning goal for you to re-examine, including memorable efforts against Tottenham, Arsenal and Manchester City. Hit the video above and cast your vote for your favourite below.